Closing out the main summer season is Mint Green Music Festival, a fresh new fest to manifest creativity, community, and sustainability at the Salem County Fairgrounds in Woodstown, NJ on August 24th-25th. About 30-40 minutes outside of Philly, the Salem County Fairgrounds seem to be a perfect choice, exuding a feel of both a fusion of farm and fun that blend quite smoothly with that “party sustainably” vibe of Mint Green. In its first year MGMF has gathered headliners including Two Fresh, Boombox, and Claude VonStroke, along with some of our other favorites BreakScience, Archnemesis, DrFameus, Zoogma, Up Until Now, The Malah, The Indobox, Jimkata, Normal Instruments, Beam&Deem, and many more. Keep an eye out in the coming weeks for the schedules regarding lineups for the main stage, indoor stage, and a stage sponsored by The Untz. Some of the most exciting parts of this gathering are the eco-friendly activities and art installations to be the ripe fruits of the Mint Green Arts Program’s labors. In keeping with the theme of ecological sustainability as a manifestation of relational awareness, of the earth, ourselves, and the collective, the array of visual, performance, and interactive arts pieces will use recycled materials. If you have spare wood, paper, fabric, PVC tubing, or leftover paint don’t hesitate to donate (Remember the three R’s: Reduce, Reuse, Recycle)! Sensible Reason will be hosing an art pavilion with an eco friendly social consciousness feel with art, interactive installations, the music of Ink Line and much more. Come by and register to vote with HeadCount or learn about sustainable farming from OxFam America. The Sensible Reason pavilion will also have a ‘Festival Confession’ from Officially OutRageUs where you can stop and talk to the camera. 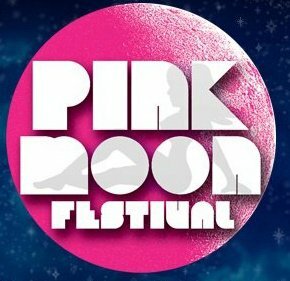 Adding to the unique blend of performances will be the Psy-Ballet, a psychedelic lyrical performance being put on by Wompin’Kitty Productions. This new up-and-coming group of performers and artists joined together to raise money and awareness through art. Look out for two performances of this psychedelic phenomenon throughout the weekend. Workshops and activities at MGMF will also include a farmers’ market to promote healthy eating, an art and music lounge, campfire-side drum circles and bonding, a health and wellness pavilion reminding us to appreciate our whole selves (mind, body & soul! ), an arts & crafts village and promotion of collective creativity, a Strangers Helping Strangers food drive (love thy Neighbor), and workshops on sustainable living. It isn’t enough to just try it once. Our mother Earth needs our help and dedication to her, to establish habits that protect the Earth and us from harmful environmental stressors. Mint Green Music Festival’s message encourages us to rage responsibly, to live life to the fullest without harming the life that exists external to ourselves. In becoming aware of ourselves in relation to the collective, in relation to life itself, we can begin to coexist harmoniously. Get pumped ladies and gents: this weekend promises to be one ripping at the seams with awareness, creation, and some spectacular symbiosis. Tier II Ticket Sales for Okeechobee Festival End Today!